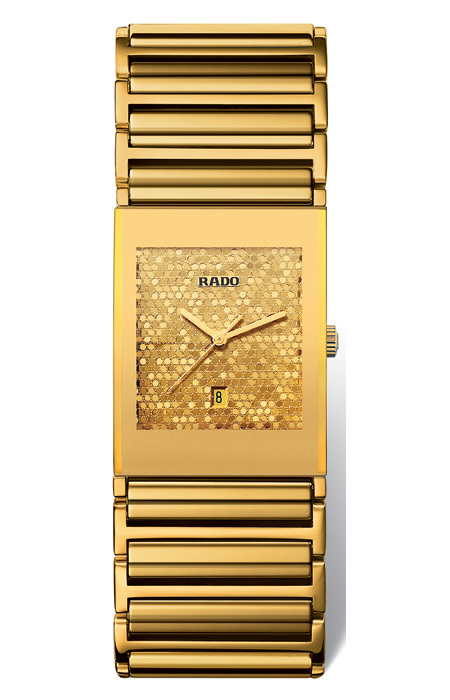 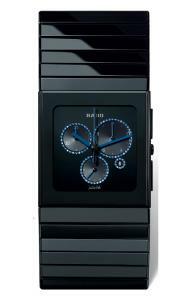 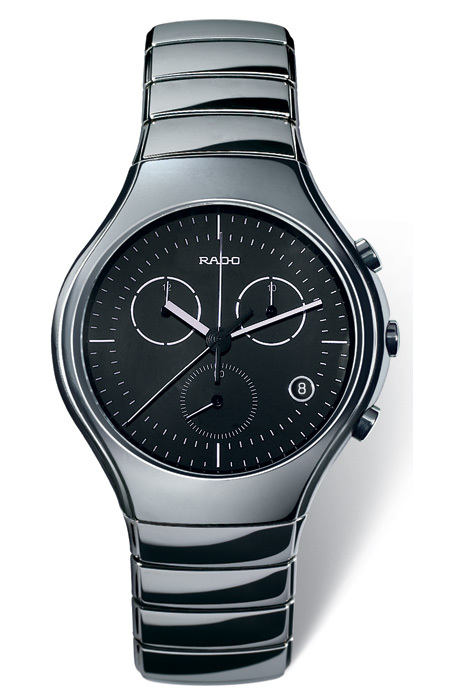 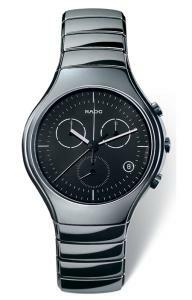 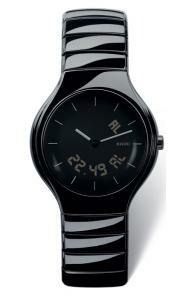 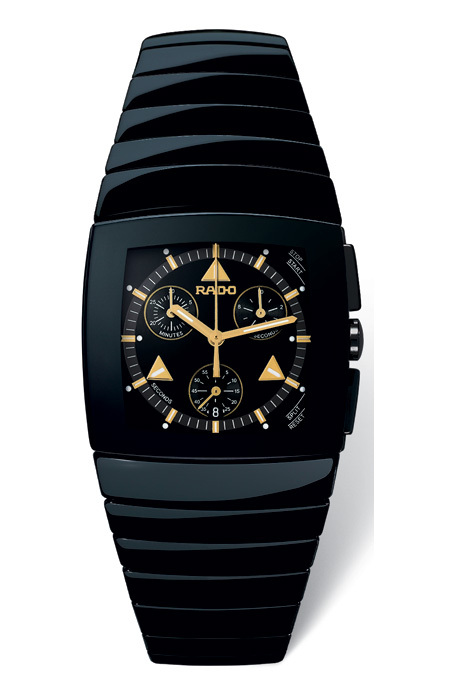 RADO 09- True Gloss Platinum Chrono (L) R27 896 152, 13 1/4 ETA 251.262, quartz chronograph, 27 jewels. 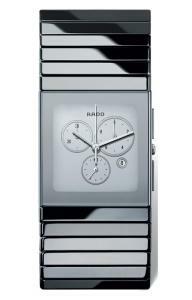 Platinum colour hi tech ceramic case, dome shaped sapphire crystal, black dial, platinum colour hi tech ceramic bracelet with titanium 3 fold buckle. 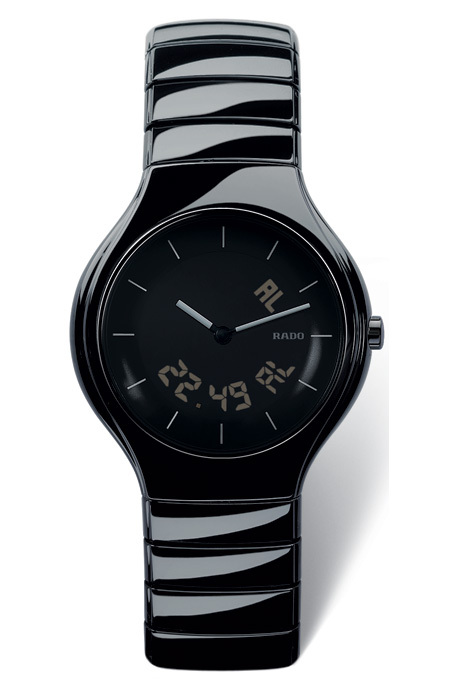 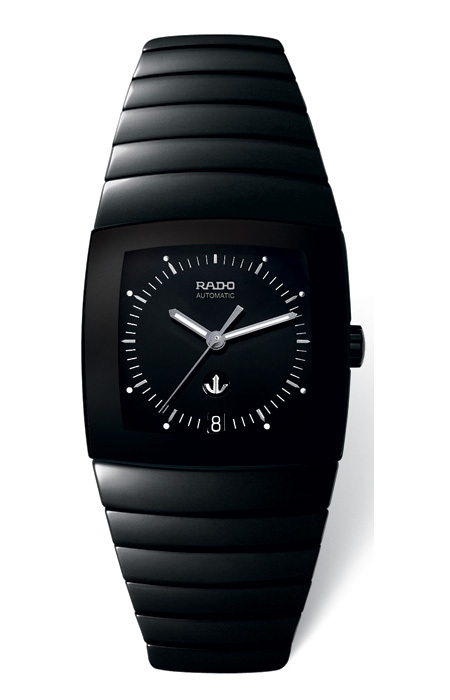 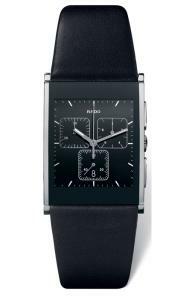 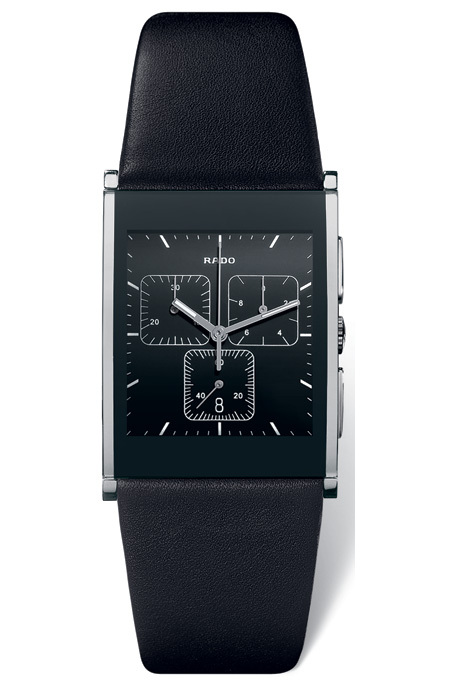 RADO 09- True Black Gloss Multi Function R27 867 152 , 11 x 11.5 ETA 988.432, Quartz, 7 jewels, analog and digital display, black, hi tech ceramic case, done shaped sapphire crystal, black hi tech ceramic bracelet with Titaium 3 fold buckle. 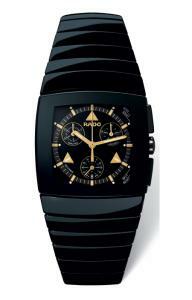 ceramic bracelet with yellow PVD titanium 3 fold buckle. RADO 09- Ceramica Platinum Chrono with Mirror Dial (XL) R21 911 102 Platinum colour hi tech ceramic bezel, curved sapphire crystal, silver colour mirror dial, platinum colour hi tech ceramic bracelet with titanium 3 fold buckle. 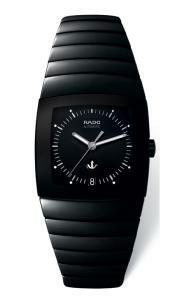 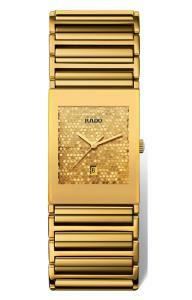 All images courtesy of RADO.